IMCO President and CEO, Bert Clark recently sat down with C.D. 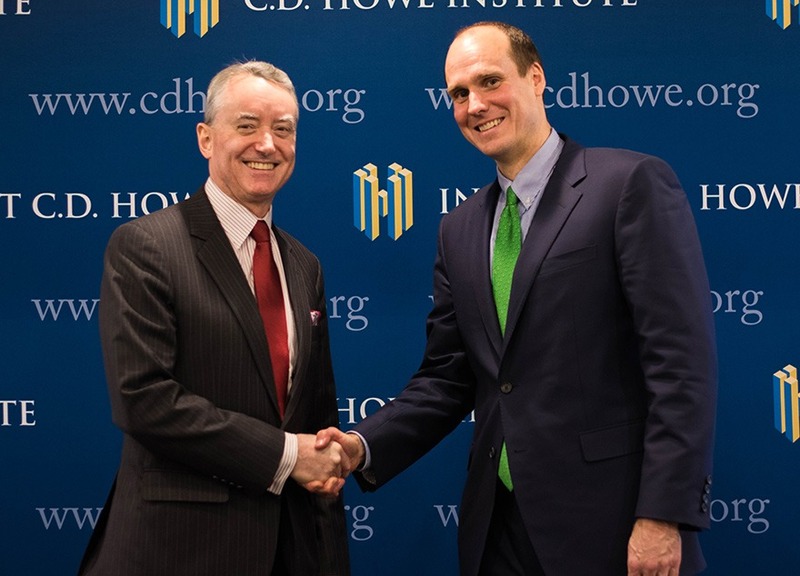 Howe Institute President, Bill Robson, to discuss the future of public fund investing. The event, which was attended by members, industry leaders and business media, provided an opportunity to hear from the head of the only asset manager designed specifically for public-sector funds in Ontario. Mr. Clark spoke about IMCO’s foundation, investment capabilities, portfolio management, risk framework and strong governance model. He shared his thoughts on the importance of portfolio construction and asset allocation when it comes to the firm’s investment strategy, and how IMCO is creating value for Ontario public sector clients. The Investment Management Corporation of Ontario (IMCO) manages $61.6 billion of assets on behalf of its clients. IMCO’s mandate is to provide broader public-sector institutions with investment management services, including portfolio construction advice, better access to a diverse range of asset classes and sophisticated risk management capabilities. IMCO is an independent organization, operating at arm’s length from government and guided by a highly experienced and professional Board of Directors. For more information, visit www.imcoinvest.com and follow us on Twitter @IMCOinvest.